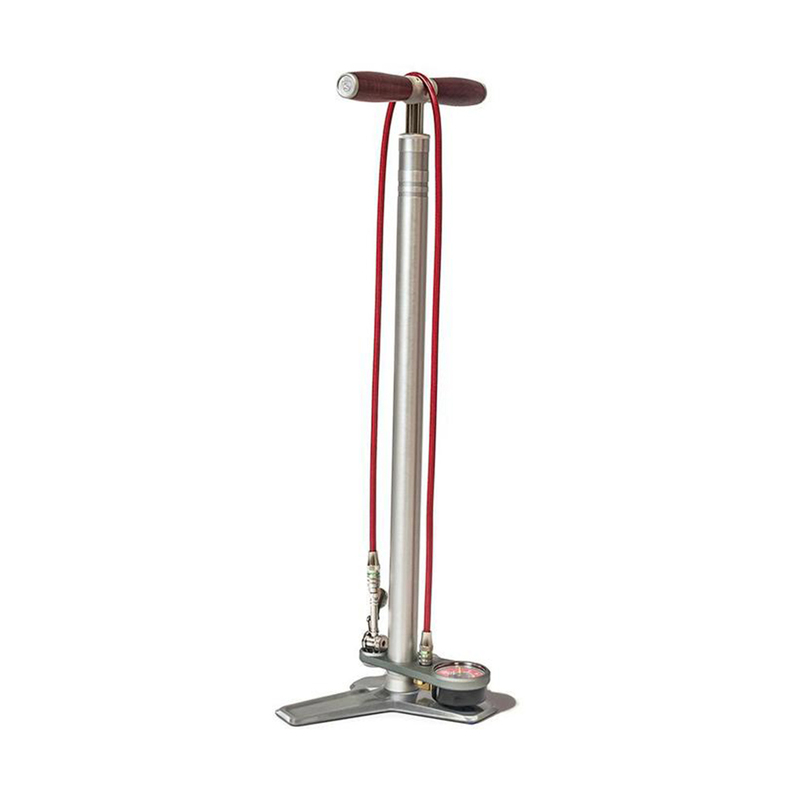 The Silca Super Pista Ultimate Hiro Edition floor pump is, as its name suggests the ultimate floor pump. After more than 18 months of testing, use and abuse at the top levels of racing, Silca have created a floor pump made from premium materials and packed full of user-friendly features, combining the multi award winning Super Pista Ultimate Pump with the multi-award winning Hiro Locking presta chuck, the Ultimate Hiro edition brings you Pro-Tour level equipment to your own workshop. Ultimate Hiro Edition utilises a custom hose and magnetic Steel End Nut on the chuck, allowing the Hiro chuck to be docked magnetically when not in use. Hiro V3.0 is 15% smaller in all dimensions than the original Hiro and utilises a new plated steel wing design which allows for better compression control. New single stage 254 Gasket allows the chuck to be placed over the valve with NO interference or pressure, and then be locked into place with the new low-profile lever. Hiro V3.0 allows for one handed use in ALL disc wheels and on ALL valve extenders. Now in use by some 50% of Pro Tour teams and hundreds of shops and professional mechanics worldwide.